Our mission is clear: "We want to treat each customer as they are the most important, giving them products and value we can all be proud of while maintaining , truth, honesty and integrity." We focus on manufacturing excellence, unparalleled customer service, and enduring quality. Our dedicated Customer Service team gives us the flexibility to react quickly to any and all of our customers’ needs. These specialists are cross-trained, seasoned employees who have an extensive knowledge of the industry. We are proud of our history of correct, courteous, and on-time delivery. Our highly-experienced Sales team is a group of hardworking experts in the vinyl window and door industry. Separately and combined, their wealth of knowledge and experience in our industry is unsurpassed. We manufactures high-quality products that provide increased energy efficiency, saving our customers money on energy costs. 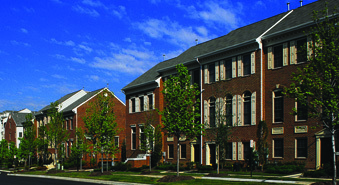 We focus on the best energy efficiency and savings in the local region of Northern Virginia, Washington D.C. and Maryland Suburbs. Compare us to any company and you will see that we compete with–and surpass–the best of them. You’ll find our quality in the way our windows and doors perform under various seasonal conditions…in the way they slide, swing, lock and latch…in the way they add beauty and value to your home. 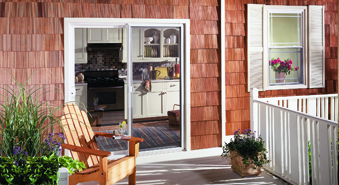 Our patio doors maximize light while providing thermal efficiency, security and ease-of-operation. Choose from a selection of distinctive colors and grid patterns and decorative hardware options. 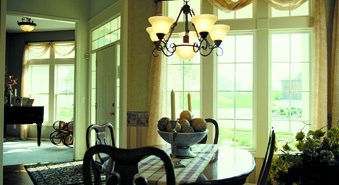 US Vinyl Windows and Doors has decades of experience supplying replacement and commercial construction windows. We know the types of services the commercial market requires–and the kinds of deadlines you deal with every day.